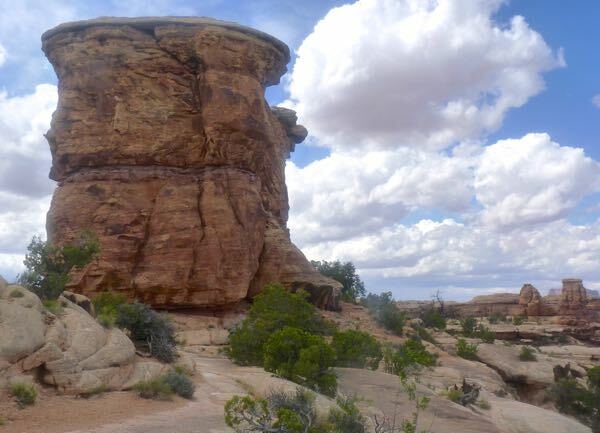 Canyonlands National Park – Needles District was about 35 miles from the main highway. But, the road to get there was as fantastic as the park itself. 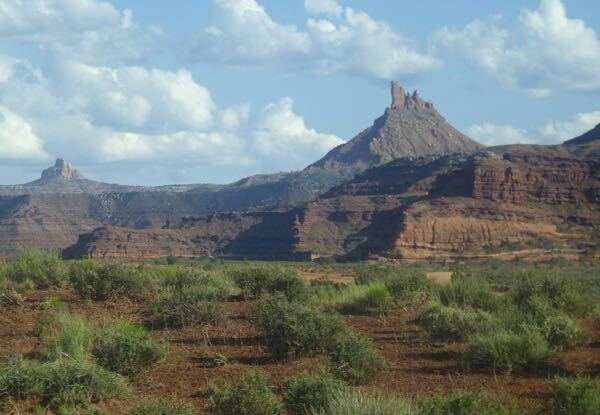 The drive in on UT-211 had some really great scenery and rock formations. 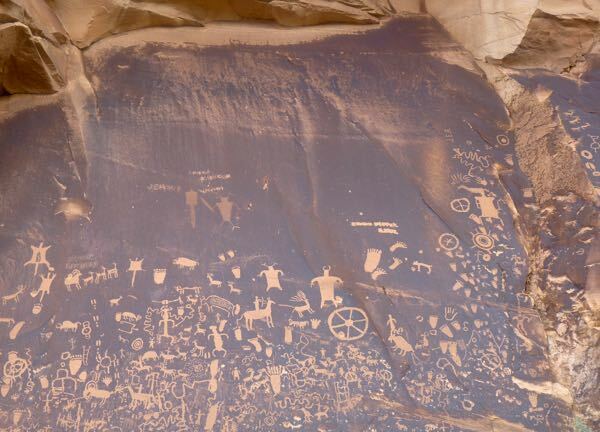 The first point of interest was Newspaper Rock; a large panel of rock art left by natives and early pioneers. 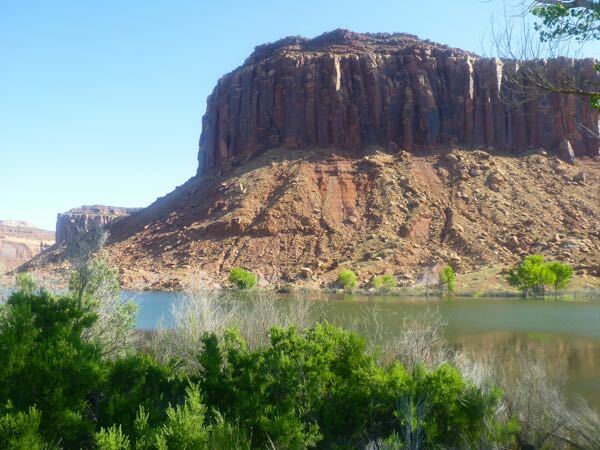 Later, a small lake by Indian Creek had some towering cliffs and lots of cottonwood trees. Other pull-outs along the road provided more great views. Most of the hikes were beyond my limits. 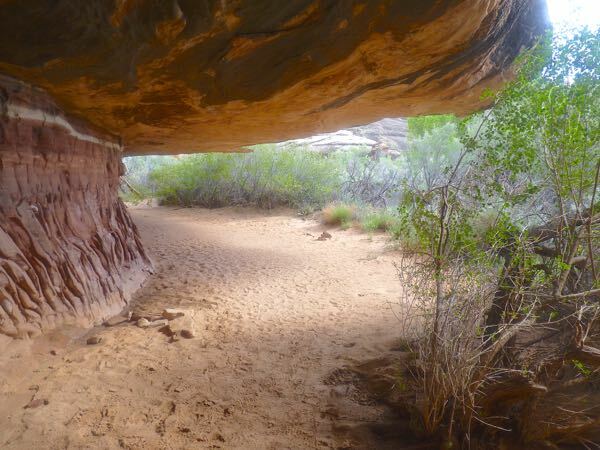 But, a short one to Cave Spring took me to some rock overhangs used for early camps by natives and cowboys. 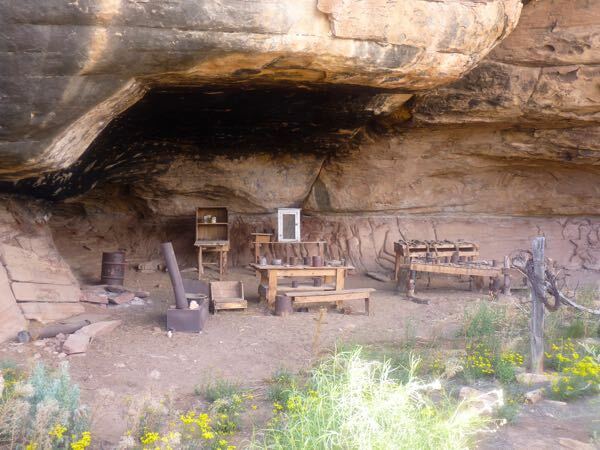 A staged cowboy camp had typical supplies. Ladders took me atop the ledges onto a slick rock trail leading back to the parking lot. The Big Spring Canyon overlook had interesting rocks, with Slick Rock and Pothole trails leading to rock formations and water tanks. Parking lots were full. 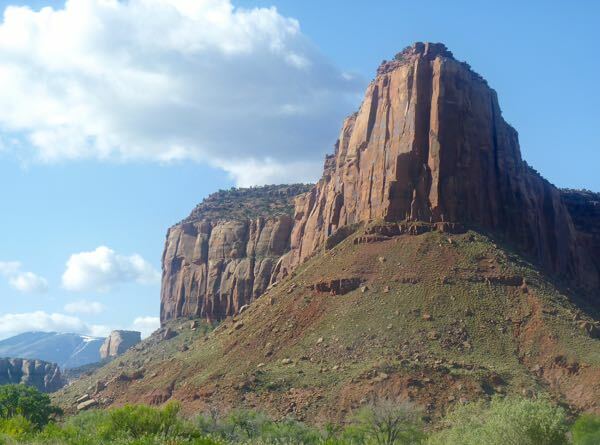 The Needles overlook, reached via CR-133, provided the deep canyon views and was worth the extra drive. 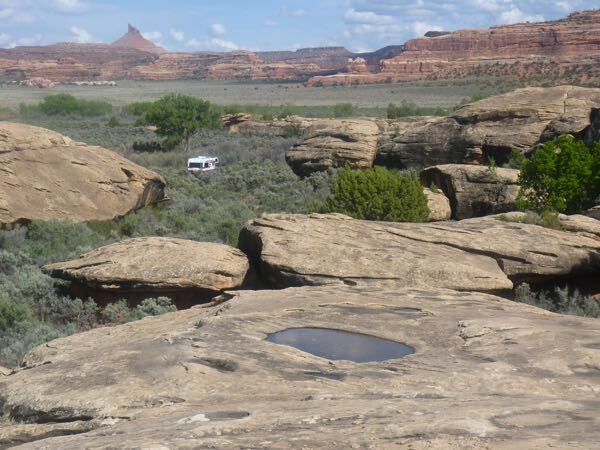 A free camp was found which had great views of the mesas and desert. The Needles area near Monticello was just one part of the park. 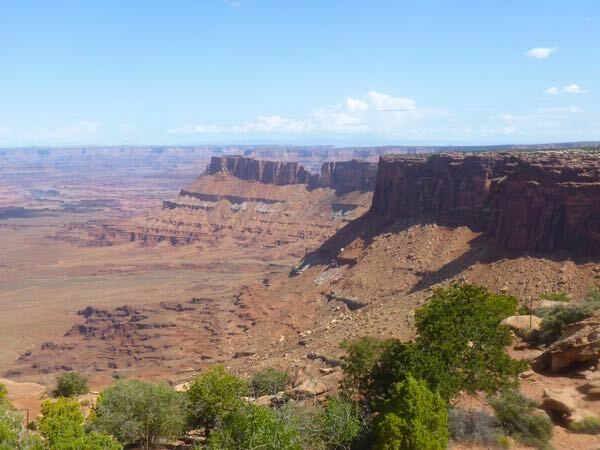 To see the rest of the park required a drive to Moab, and another long road to get to Island in the Sky. Newspaper Rock sure is densely decorated! Yes, it includes native, Spanish, and pioneer drawings. It’s actually before you enter the park. This is one of our favorite areas. Not as many “tourists” as most. 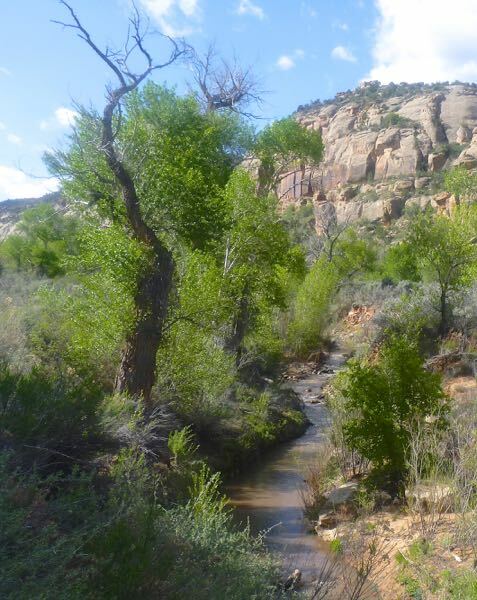 Yes, I agree Jan. It’s much more relaxing than the northern section near Moab.